330: Dr. Jim Tour: Driving the Field Forward by Combining Chemistry and Nanotechnology to Study Nanocars, Graphene Synthesis, and More! Much of Jim’s time outside of work is spent studying and teaching the Bible. He enjoys introducing students and scholars to topics within the Bible that they may be less familiar with. Jim works broadly in the area of nanotechnology. 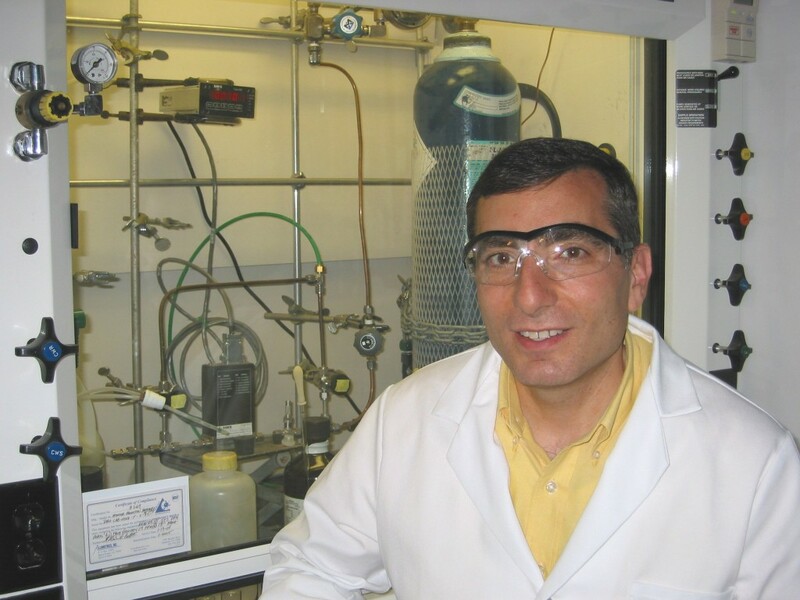 His research brings together the areas of synthesis, material science, and medicine. They have worked on creating composite materials for spacecraft, laser-induced conversion of commercial polymers into graphene (sheets of carbon that are one atom thick), graphene glass coating, porous metals for supercapacitors, carbon capture, graphene quantum dots (tiny fluorescing semiconductors), nanocars (mobile molecules that can be used in molecular manufacturing), and more! Until graduating from high school, Jim wanted to be a New York State Trooper. He was dismayed to discover that this career was out of his reach because he was colorblind. Jim turned his attention next to study forensic science instead, but his father encouraged him to pursue a more general degree in chemistry. He took his father’s advice and ended up loving his first organic chemistry course in college enough to make organic chemistry his career. One of Jim’s most challenging times was when his group assigned the wrong chemical structure to a compound. The paper had been published in an excellent journal, and everything they said about the polymer they were describing was correct, except its structure. They published another paper to correct this mistake, but Jim felt really bad about getting the structure wrong initially. Jim describes two exciting research successes in his laboratory. The first was related to their work on nanocars. They recently submitted a paper describing how they are able to get these single molecule vehicles to move using light. He has been working on nanocars since 1998, and this has been a tremendous breakthrough for Jim’s team. Another major success for Jim was the creation of a nanoparticle drug that has now been licensed to two different companies and has important applications in the treatment of traumatic brain injury and stroke. A very memorable travel experience for Jim brought him to Nice, France. The hotel he stayed in was on the Mediterranean Sea, and it was absolutely beautiful. Thought the location was picturesque, it was the meeting he attended that made this trip stand out. Thirty people considered non-conformists in their fields, including scientists, theologians, writers, and others, were came together to discuss and reflect on their experiences. Jim likes to keep the mood in his lab light, and he often jokes with his colleagues about how their discoveries could make them all wealthy. It’s important for him to keep his group motivated by conveying the excitement of their work and the impact it could have on the world. They used to have a tradition celebrating success in the lab by having the person stand on the table while they all applauded, but this had to be abandoned after a few near-injuries. Instead of being offended or upset about the negative things people do or say, it is better to let it go. Also, don’t forsake your family in the pursuit of your career. You can have both a happy family life and a successful career. Jim’s scientific research areas include nanoelectronics, graphene electronics, silicon oxide electronics, carbon nanovectors for medical applications, green carbon research for enhanced oil recovery and environmentally friendly oil and gas extraction, graphene photovoltaics, carbon supercapacitors, lithium ion batteries, CO2 capture, water splitting to H2 and O2, water purification, carbon nanotube and graphene synthetic modifications, graphene oxide, carbon composites, hydrogen storage on nanoengineered carbon scaffolds, and synthesis of single-molecule nanomachines which includes molecular motors and nanocars. He has also developed strategies for retarding chemical terrorist attacks. For pre-college education, Tour developed the NanoKids concept for K-12 education in nanoscale science, and also Dance Dance Revolution and Guitar Hero science packages for elementary and middle school education: SciRave (www.scirave.org) which later expanded to Stemscopes-based SciRave (http://stemscopes.com/scirave/). The SciRave program has risen to be the #1 most widely adopted program in Texas to complement science instruction, and it is currently used by over 450 school districts and 40,000 teachers with almost 2 million student downloads.